Recently EPA prohibited three of its scientists from speaking about climate change at a conference in Rhode Island. The conference was the culmination of years of research that resulted in the peer-reviewed 2017 State of Narragansett Bay and Its Watershed report. 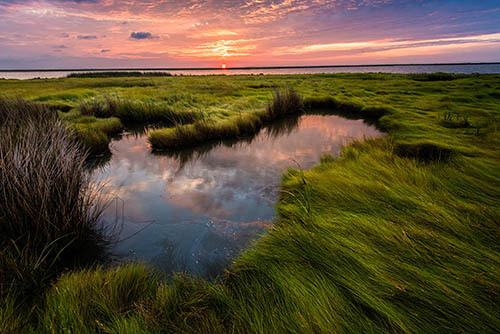 The decision to silence the science questions the very role of the federal government in improving America's water bodies, and bodes ill for restoration efforts here in the Chesapeake Bay and across the country. Science is under attack. We must fight back. Our legacy of clean water in the Chesapeake, and across the globe, depends on it. Sign the petition. Photo above by Bob Miller. I stand in solidarity with science and scientists everywhere. Their work is critical to understanding our natural resources, including the Chesapeake Bay and its rivers and streams, and how we might help restore them. But right now, science is under attack. We must fight back. Our legacy of clean water in the Chesapeake, and across the globe, depends on it. For our health, Bay, and well-being, I stand with science!